It’s been gloomy lately, so I decided it was a leopard print kind of day. I found these jeans last week while shopping in the city. I was checking out the clearance rack, when this beautiful print caught my eyes. 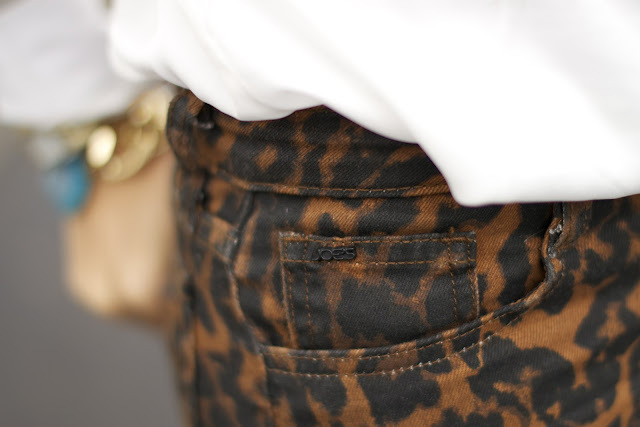 What I especially like about these Joe’s jeans is that not only are they beyond comfortable, but they are a darker leopard print, which I don’t usually see. I decided to keep the rest of the outfit simple; I added a white blouse and black pumps, so neither would compete with the leopard. 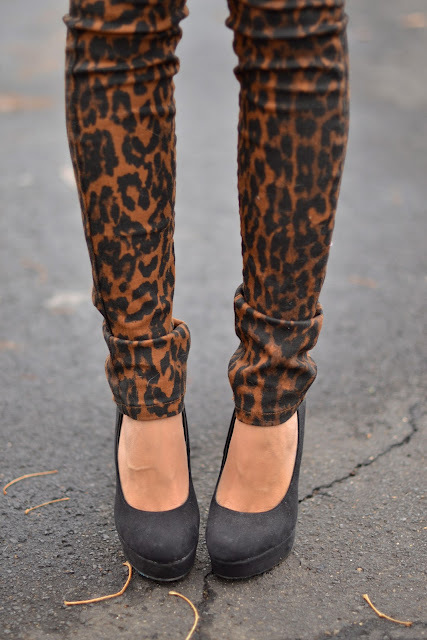 These black pumps are such a staple-they match with everything! The one problem is they are suede, so I cant wear them in the rain. After browsing a few shoe shops I found this pair that is perfect for any type of weather. I just got some leopard pants today! Cute outfit! 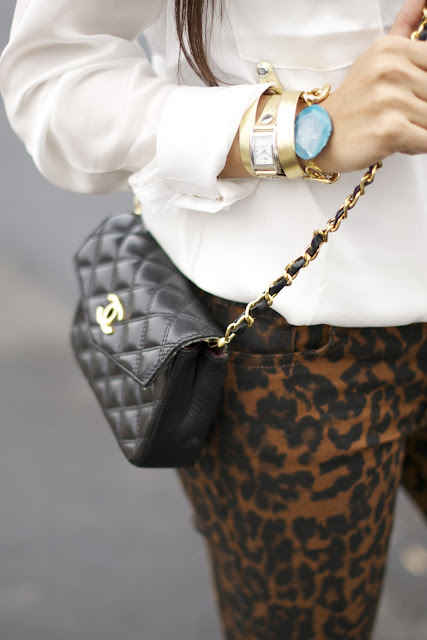 Love your style and Love those pants!